I’ve long observed that B2B marketers focus too much on lead generation, and not enough on current customer expansion and retention, which is, after all, where the bulk of profits lie. When asked, the typical B2B marketer will say that 80-85% of their effort goes to customer acquisition. This is a mistake. But I am happy to say that my longtime pal and colleague Steve Gershik is working on a solution for this unwise imbalance. I asked Steve to explain his thinking. that are meant to drive net new leads and nurture them to close. And whether that strategy includes inbound, ABM, or content marketing or a mixture of the three, the emphasis has always been on acquiring “new logos.” But I argue that we can create a durable competitive advantage by focusing on the customer in the funnel beyond the funnel; that is, the set of systems, processes, and technologies to drive value after the customer has signed the deal and continues along their journey with you. What problem is this approach intended to solve? In the subscription economy, there is nothing nearly as expensive as a customer that has left you before the first year. You’ve spent oodles of time, money, and brainpower on acquiring that firm, only to see that investment lost if you can’t make a customer successful, happy, and an advocate. Plus, as product development cycles get shorter and shorter, companies are learning that the only way to create differentiation between themselves and their competition is to concentrate on the holistic customer experience. Focusing on the funnel beyond the funnel translates to lower customer acquisition costs, lower churn rates, higher lifetime value, and a powerful brand. The first and most obvious tactic is to harness the power of successful customers in a systematic way. You want to ensure that you mobilize your customers to help drive awareness of your company and serve as a third-party advocate of you. But you can’t have happy customers unless you have a comprehensive strategy for customer experience after the sale. So start pulling together all the tactics you do today — onboarding campaigns, customer webinars, NPS programs, user groups—into one umbrella strategy for post-acquisition customer marketing. That’s really the best question, since we just completed a study of B2B marketers, and the results were clear. While they believe that there should be a focus on the funnel beyond the funnel, the weakest part of their programs overall was the measurement of success and the promotion of those results within the firm. So I recommend people tie the results of their programs to business metrics the executive team and the board care about: the number of customer referrals and the resulting sourced revenue, influenced revenue (through attribution), changes in customer acquisition costs, and the LTV of happy, engaged customers. This will help bolster further investment in your programs and, by the way, make your top of the funnel programs more effective and efficient, too. Are there organizational issues we should consider? organization. Still others put the function inside customer success — customer service, tech support, account management — which makes some sense for businesses that realize that tight alignment between CS and marketing is important. Whichever structure companies choose, alignment among sales, product, marketing, and success is vital. Where can readers learn more about this? 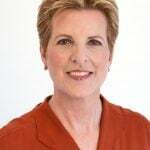 Readers can visit Koyne Marketing, follow me on Twitter (@sgersh), or connect with me on LinkedIn. Vendors like Gainsight, Totango, Strikedeck, and Influitive publish a lot of useful information about tactics and measurement in this area. More analysts are covering the subject, with Laura Ramos at Forrester and SiriusDecisions publishing some interesting research on building your customer marketing organization. Where do you think this all going? I’m optimistic, but we are pretty early on. Our recent research showed that everyone’s talking about this, but only 4% said they were planning to anything about it. I think that companies that get out ahead on this will enjoy a valuable competitive advantage.